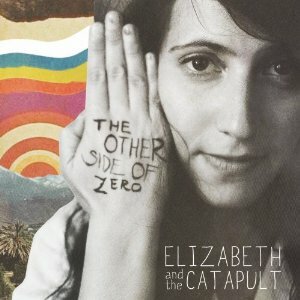 If you’re a fan of melodic pop tracks with great lyrics, (think Jewel or Mandy Moore’s most recent songs) then you’ll likely feel at home with Elizabeth & the Catapult’s new indie pop album, Other Side of Zero. On tracks like “Dreamcatcher,” listeners are entranced by lyrics like “lovers spin like pendulums on telephone lines.” Every lyric seems handcrafted and spun just for the listeners’ benefit. Even denser tracks like “The Horse and the Missing Cart” still provide a nice sense of comfort. While the song itself might seem quite lush, the lyrics still bring the album home, as she sings “best to not live by too many morals” and “don’t second-guess something once you believe it.” While the title track “The Other Side of Zero,” is calm and whimsical, it has a bit of a carnival-like sentiment and feels infinite. Be sure to pick up this album if you’re looking for something intelligent and heartwarming. Elizabeth and the Catapult will certainly knock you on your feet if only you let them!